The TechMatte MagGrip CD Slot Car Mount is a sturdy, cradle-less device-holding system focused on simplicity. Just place the included slim, metal MagGrip plate between your device and its case, and place your phone on top of the magnetic mount inserted into your car's CD slot. The strong magnetic surface of the mount will ensure that your device is secure, while the cradle-less feature enables you to rotate and view your device without any distracting arms or holders. 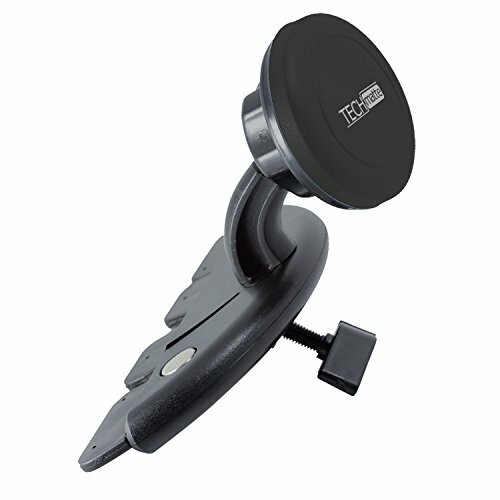 -Extreme heat can cause damage to the TechMatte MagGrip CD Slot Car Mount or to your CD slot. This can occur when the CD Mount is left in an unattended car on extremely hot days over prolonged periods of time. In these situations, we recommend you remove your TechMatte MagGrip CD Slot Car Mount until you return to your car.